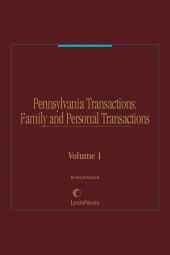 Pennsylvania Transactions: Family and Personal Transactions is a step-by-step guide covering family law transactions in Pennsylvania, with each chapter providing a research guide, legal background discussion, a practice guide and forms. Manage your clients' family and personal transactions confidently and efficiently. Obtain quick access to practically everything you need to negotiate and handle your clients' transactions with confidence, speed, and authority... from start to finish. • Scope – identifies the topics covered, and provides the customer reference to additional materials relevant to those topics. • Synopsis – provides a table of contents roadmap for each Chapter to assist in narrowing the customer’s search for specific materials. 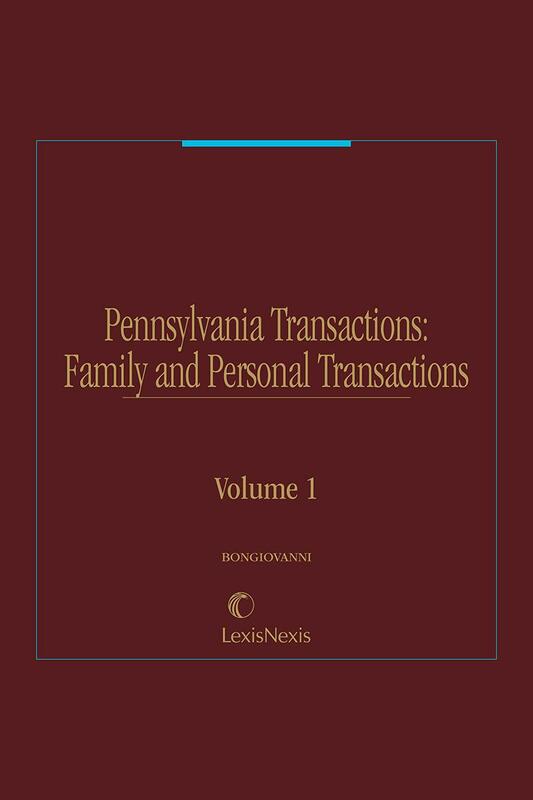 • Research Guide – provides a list of major federal and state statutes, regulations, legal annotations, and law review articles and other texts concerning the Chapter topics. 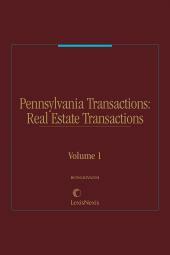 • Practice Guide – provides a step-by-step guide to conducting the particular transactions being addressed, beginning with the Client Interview and continuing through the drafting and execution of the appropriate Forms. • Forms – each Chapter provides Forms used in connection with the transactions being addressed, which may be modified by the customer to meet the specific needs of their client or situation. 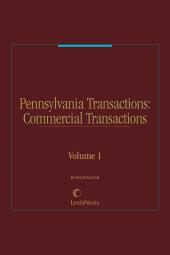 Forms include materials drafted by Pennsylvania attorneys (such as contracts, financing agreements or disclosures), official Forms issued by governmental entities, and Forms formatted to comply with court rules (such as pleadings or motions). 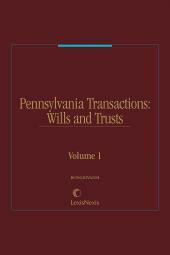 Material in this publication is also published in Pennsylvania Transaction Guide: Legal Forms.